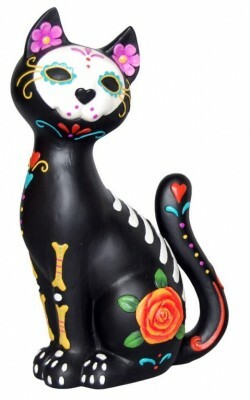 Nicely detailed sugar skull cat figurine. Made from quality solid resin for a stone statue effect and weighty feel. Beautiful details.